For 7 Nights we sailed around the beautiful Galapagos Islands in Ecuador and saw some of the most unique Wildlife in the World... it was Fabulous!! Then we followed it up with a visit to mystic Machu Picchu in Peru... overall, we had a great trip, one of our best ever!! :-) Click here http://www.nancyandshawnpower.com/galapagos-cruise-review/ to see our full Galapagos Cruise review and here http://www.nancyandshawnpower.com/machu-picchu-review/ to see our Machu Picchu review. 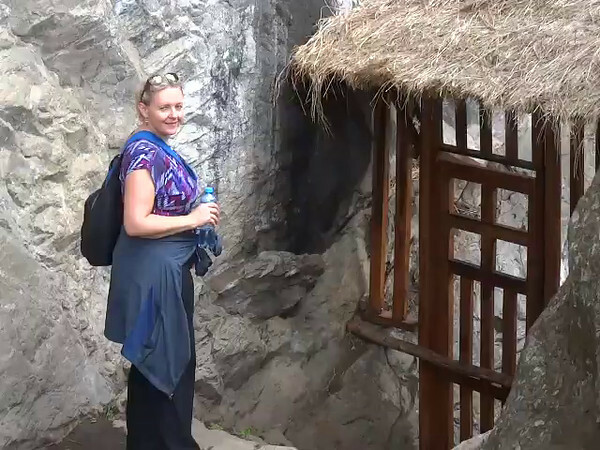 Click play to get a "Live" look at the Inca Bridge and the views that surround it.